Digital and social platforms make it easier than ever to create and push out content in record time—via banner ads, email, blog posts, etc. Automated marketing on-demand systems have also dramatically decreased print marketing turnaround times. All of this effectively caters to the increasing desire from consumers for a more mobile, personalized, responsive and relevant brand experience. But while all that rapid communication can keep your brand present in the lives of consumers, it can also lead to a mishmash of conflicting messages, voices and personalities that create confusion around your overall brand identity—or worse. 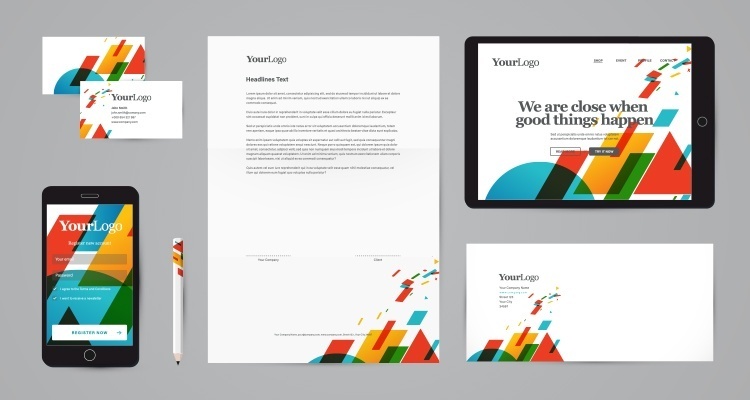 With so many new avenues of communication available, creating a consistent brand identity across all your marketing is more essential today than ever. By creating coherence across your marketing, you eliminate customer confusion and gain control over market perception. You’ll save yourself not only time, money and the frustrating negative effects of messages working at cross-purposes, but your brand will become more recognizable, memorable and trustworthy too. Your Unique Selling Proposition (USP) is what sets you apart from your competitors, and the most successful brands out there are the ones that can quickly and clearly articulate it. In today’s competitive marketplace, it can be challenging to get potential customers to value the distinctions between brands. Think about it: have you taken a stroll down the cereal aisle recently? The possibilities are overwhelming and endless. With customers having an all-you-can-eat buffet of products or services for their choosing, it’s more important than ever to establish strong branding. That’s where consistency comes in—your branding and language should only belong to you, and your messaging should support your brand promise and be consistent through all your channels. Recognition is not a given—it’s earned. Your customers have grown to trust that your standards will endure over days, months, and even years. If you’re doing it right and consistently delivering, your customers will identify your brand even when assets appear independently, from your packaging, to your website, social media pages, or even your brand’s color palette. Just think about how Nike’s swoosh logo can exist without mentioning the word “Nike” and how their tagline is recognizable without the logo—you don’t need to see the whole picture to make the association in your head. This same principle applies even on the small-scale; what makes a brand stand out are the distinct qualities that consistently set it apart from competitors. It’s been said that “the difference between the right word and the almost right word is the difference between lightning and the lightning bug.” (Thanks, Mark Twain!) And this is precisely why your brand message needs to grab your audience’s attention and never let them go. “Effective frequency” is a term used to describe the number of times a person must be exposed to a message before getting a response. When your audience is exposed to your brand’s message, it reinforces your unique value proposition in their minds. Repeatedly hearing or seeing it will drive greater long term retention. But if your brand messaging constantly changes, it’s hard for customers to recognize or keep up with. Remember this is a living document, so as the company experiences growth or development, these changes should be reflected in the style guide. Make sure it’s accessible for all employees and consider even appointing a few members of your team as brand ambassadors to keep an eye out for consistent branding as it’s executed across channels. Brand consistency doesn’t necessarily translate to all things looking “identical,” but there should be standards put in place to make sure your visuals and messaging are clearly and consistently applied. Being consistent with your branding does not mean that you need to keep regurgitating the same campaigns time after time. The brands that have been around the longest and gained the most widespread recognition are those that have successfully presented the same core messaging in different forms. This allows their branding to remain new and relevant in an ever-evolving market while remaining familiar in the eyes of consumers. A good example is Coca-Cola. It’s been around since 1886 (!) and is arguably the most recognizable brand in the world. Remember, consistency breeds trust, trust breeds loyalty, and loyalty breeds advocacy. If you’re still at the beginning of your brand development process and are trying to determine exactly what your brand stands for, nailing it down can be a real trick. 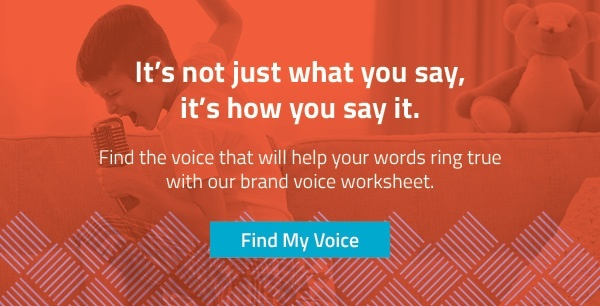 Fortunately, we’ve put together our Brand Voice Worksheet to help you kick-star the process. Download it for FREE today! Editor’s note: this blog post was originally published in October of 2017 and has been updated to include fresh information.